The work of Olafur Eliasson bridges different areas of knowledge and culture. From art to architecture, from geometry to light, what fascinates him the most is the relationship between humans and the environment that he continually thematises in his work as an artist, researcher and experimenter. In particular, his projects question the influence of humans on the natural environment because his work is a constant challenge to rethink reality as exclusively seen by the human eye. His talk at the National Museum of Science and Technology Leonardo da Vinci of Milan acquires a particular significance, especially in the year in which we celebrate the 500th anniversary of the death of the Tuscan artist. Eliasson’s work reminds us how urgent a radical change is required in the ways we consider nature, which today appears to us in transformation as a result of the profound and irreversible climate changes we are living through. The Museum, which has since its foundations explored the close relationship between art, science and technology, is pleased to host Eliasson precisely because of the ties between his work and the spirit of Leonardo. Leonardo’s ability to observe in order to understand natural phenomena, and his working method, which started from nature to develop mechanical forms, are fertile elements of meaning also for today’s world. In the context of the Design Week Eliasson will launch a new light designed for the Danish lighting manufacturer Louis Poulsen. Olafur Eliasson’s art is driven by his interests in perception, movement, embodied experience, and feelings of self. His works span sculpture, painting, photography, film, and installation. Not limited to the confines of the museum and gallery, his practice engages the broader public sphere through architectural projects, interventions in civic space, arts education, policy-making, and issues of sustainability and climate change. Eliasson (b.1967) grew up in Iceland and Denmark. In 1995, he founded Studio Olafur Eliasson in Berlin, which today comprises more than one hundred team members, including craftsmen, architects, archivists, researchers, administrators, cooks, programmers, art historians, and specialized technicians. 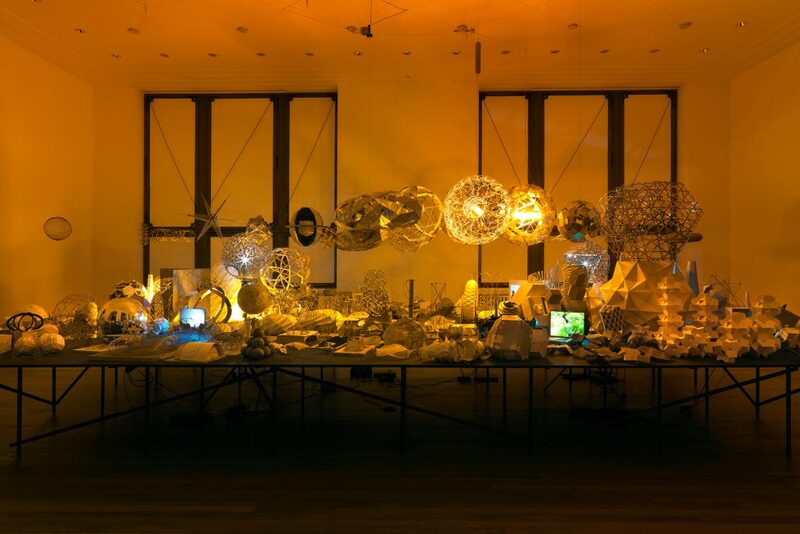 Since the mid-1990s, Eliasson has realised numerous major exhibitions and projects around the world. In 2003, Eliasson represented Denmark at the 50th Venice Biennale, and later that year he installed The weather project at Tate Modern’s Turbine Hall, London. Eliasson’s projects in public space include Green river, realised in various cities between 1998 and 2001; The New York City Waterfalls, 2008; Fjordenhus, Vejle, 2018; and Ice Watch, for which Eliasson and geologist Minik Rosing transported massive blocks of glacial ice from Greenland to Copenhagen (2014), Paris (2015), and London (2018) to raise awareness of climate change. 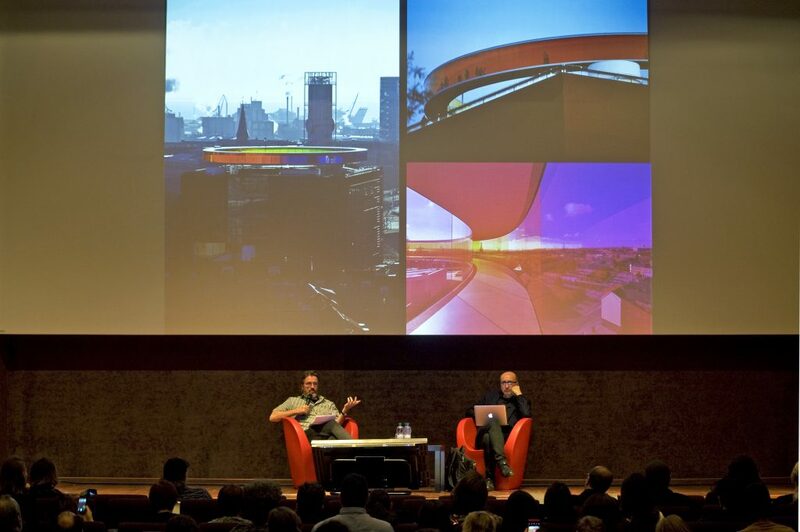 In 2012, Eliasson founded the social business Little Sun, and in 2014, he and architect Sebastian Behmann founded Studio Other Spaces, an office for art and architecture. Maurizio Bortolotti is a curator who has worked in China, South Corea and India. He curated the exhibition Ai Weiwei. Disposition, collateral event at the Venice Biennale in 2013 and he has been the director of the “Research and Public Program” at the Himalayas Museum in Shanghai between 2015 and 2016. Currently is the Curator of the 6° LAM360 Biennial of Mongolia, which will open on August 2020.